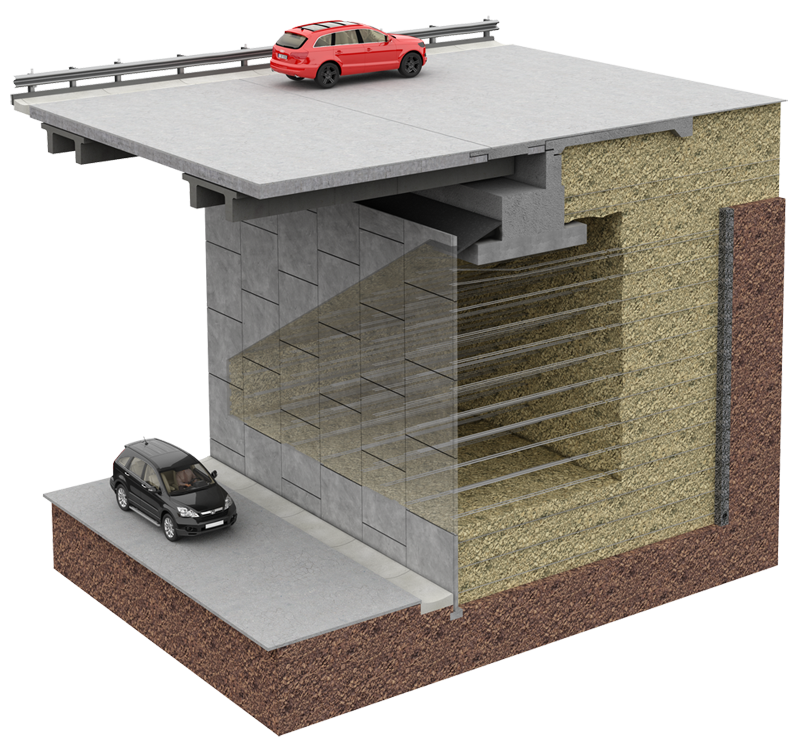 Henri Vidal’s invention of Reinforced Earth® combined discrete, tensile reinforcing strips with granular soil (sands and gravels with minimal clay and silt) and is faced with modular panels to create a vertical, cohesive, monolithic, mass gravity retaining wall with exceptional flexibility, strength and load-bearing capacity. The transfer of stress in the surcharged earth block to strain in the reinforcing strips is effected through friction. 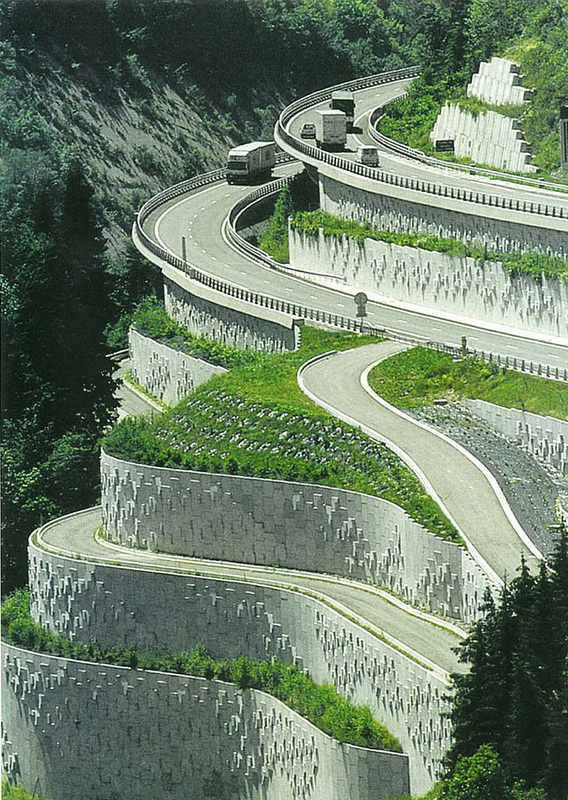 Reinforced Earth® high adhesion steel strips (REhas®) are hot rolled deformed flat bars made from medium tensile steel that are manufactured exclusively for the Group to its own specification. The strips are available in both HA (high adherence) and HAR (reinforced) which is rolled with a thickened pad for the bolt hole to provide a high capacity connection. 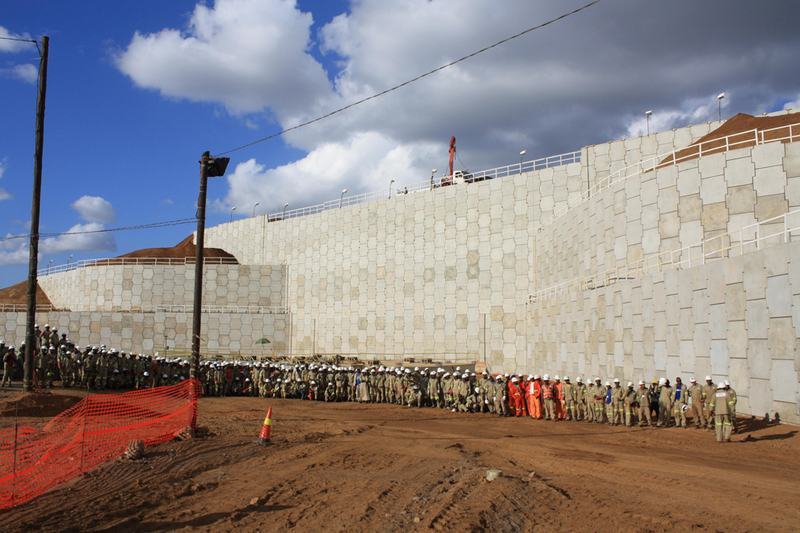 The HAR strip is particularly suited and cost effective for high walls, walls with high live and dynamic loads and for seismically active zones. Reinforced Earth Company engineers calculate the residual strength, after corrosion for the service life specified, when designing walls with galvanised or black REhas® strips.